Palo Alto-based Aurora is a self-driving vehicle company. Founded by Chris Urmson, J. Andrew Bagnell, and Sterling Anderson in 2016, Aurora has now raised a total of $620M in reported equity funding over two rounds. San Mateo-based Lime helps people move around their cities in an affordable and convenient way while eliminating their carbon footprint. Founded by Adam Zhang, Brad Bao, Charlie Gao, and Toby Sun in 2017, Lime has now raised a total of $765M in reported equity funding over five rounds. San Francisco-based Databricks accelerates innovation by unifying analytics across data science, data engineering, and the business. Founded by Ali Ghodsi, Andy Konwinski, Ion Stoica, Matei Zaharia, Patrick Wendell, Reynold Xin, and Scott Shenker in 2013, Databricks has now raised a total of $497M in reported equity funding over five rounds. San Francisco-based Kraken is a bitcoin exchange in euro volume and liquidity that trades various currencies. Founded by Jesse Powell in 2011, Kraken Bitcoin Exchange has now raised a total of $111.5M in reported equity funding over five rounds. San Francisco-based Himalaya builds a podcast platform, audio content network, and original production studio for podcasters. Founded in 2015, Himalaya Media has now raised a total of $100M in reported equity funding over two rounds. San Francisco-based Calm provides applications with hundreds of programs for intermediate and advanced users to relax their minds. Founded by Alex Tew and Michael Acton Smith in 2012, Calm has now raised a total of $116.04M in reported equity funding over four rounds. Mountain View-based DNAnexus combines expertise in cloud computing and bioinformatics to create a global network for genomic medicine. Founded by Andreas Sundquist, Arend Sidow, and Serafim Batzoglou in 2009, DNAnexus has now raised a total of $172.55M in reported equity funding over six rounds. Sunnyvale-based Illumio is a cloud security company that stops cyber threats of unauthorized communications through adaptive segmentation. Founded by Andrew Rubin and PJ Kirner in 2013, Illumio has now raised a total of $332.5M in reported equity funding over five rounds. Mountain View-based vArmour offers data defined perimeter security solutions for mobile, virtual, and cloud platforms. Founded by Michael Shieh and Roger Lian in 2011, vArmour has now raised a total of $127M in reported equity funding over five rounds. 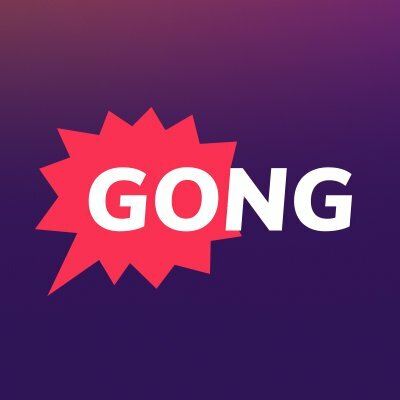 San Francisco-based Gong is conversation intelligence software for sales teams that uses AI to record, transcribe, and analyze sales conversations. Founded by Amit Bendov and Eilon Reshef in 2015, Gong.io has now raised a total of $68.1M in reported equity funding over five rounds.